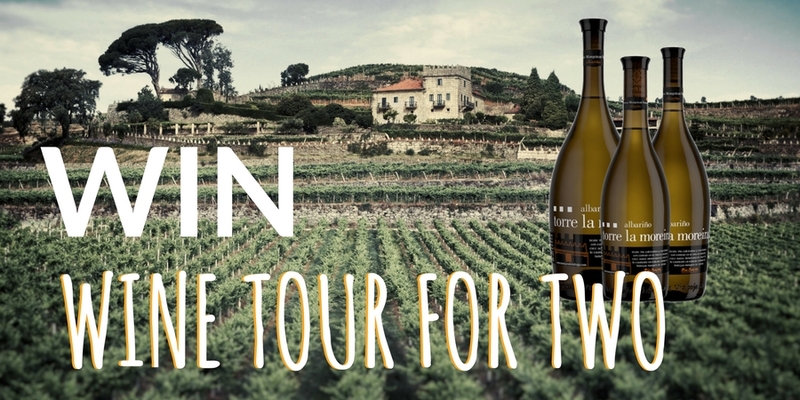 To celebrate wine harvest season in Northern Spain we are giving two lucky walkers the chance to win a taste of the Portuguese Coastal Way with an exciting tour to one of Galicia’s premier vineyards. Harvest season is a special time of year throughout Galicia. Wine lovers from all around the world appreciate the delicate wine making process and no time is this more evident than harvest time. Savour the storytelling from the experienced wine growers and enjoy sampling some of Spain’s best wines. 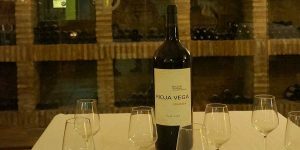 Bodegas Marques de Vizhoja is a vineyard located near the Portuguese Coastal Way, 40kms from Vigo City Centre. Established in 1968 by Mr. Mariano Peláez these wines contain the very best of the Albarino grape. At the breathtaking Finca La Moreira location you will find centennial gardens, granaries and a fountain dating from 1856. On this tour you will explore the vineyards with a special walk around the traditional Galician noble house with balconies and watchtowers to admire. Our Wine on the Camino competition is now closed and we would like to congratulate Mary-Jane Lundy who is the lucky winner of our prize for a short break on the Camino and a wine tour for two people. Visit to the wineries with stainless steel tanks. Explanation of the process of wine elaboration. Guided tasting of 2 wines (Marqués de Vizhoja and Torre La Moreira) accompanied by an appetizer. For the runners up who enter the competition we have some delicious bottles of wine that can be collected upon arrival in Vigo City Centre. Competition open to all countries. You must be over the age of 21 to enter. Prize cannot be exchanged for money, a cash alternative or any other items. 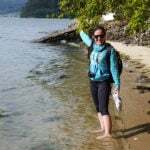 By entering this competition, you agree to register for the CaminoWays.com mailing list. Hi, I have the same problem my details won’t submit sadly. This would be lovely. 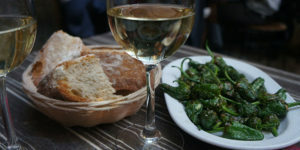 Like Mary Whittle i tried to submit quiz entry but it wouldn’t send.The answer is Rias Baixas. Rías Baixas is the answer but couldn’t upload. Error message keeps appearing. Also couldn’t submit my answer to enter competition, Rais Baixas. Competition entry will not submit ? Spanish harvest season has begun…4 flavorful wine regions to visit on your Camino!